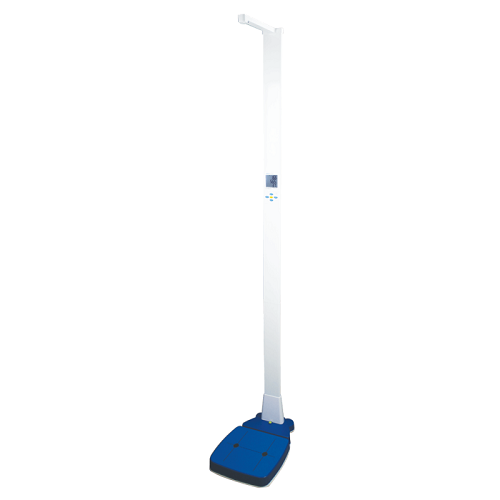 The MUW 300L physician's scale measures the height, weight and BMI of patients automatically. Convenient features that the MUW 300L offers includes an RS-232 interface that allows physicians to connect the scale to computers and printers and print out readings without breaking patient confidentiality. The scale requires very little training to operate. A patient's measurements can be read automatically in just 2 seconds with the sonic height sensors and external calibration that allows for more exact measurements of weight and BMI. 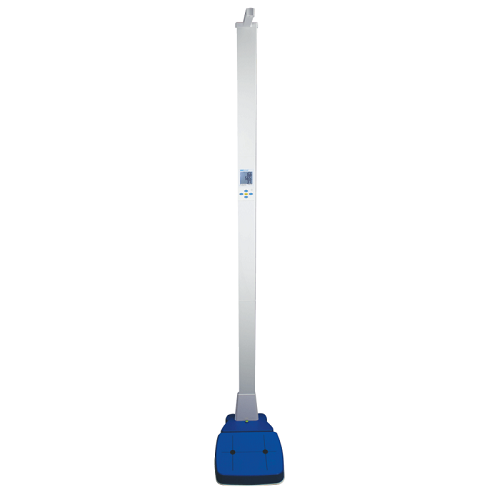 The brightly lit LCD is easy to read in any lighting conditions and displays all of the readings on one screen, eliminating the need to scroll. The base of the scale is cast-iron with an aluminum pillar. To protect the safety of the patient, an anti-slip surface covers the platform to make the scale easy for any patient to stand on. To power the scale, an AC adapter is included along with a rechargeable battery. The battery can power the scale on its own if the scale needs to be transported to a location where it cannot be plugged in. Integrated wheels are included to make transporting the scale even easier.